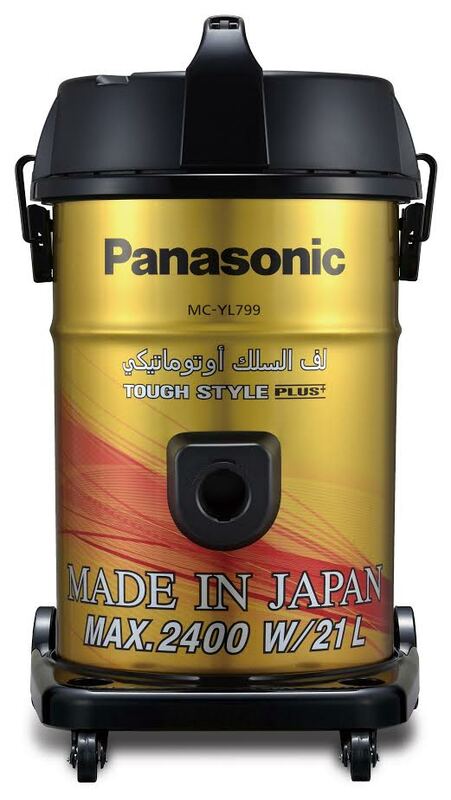 Dubai, United Arab Emirates: Panasonic Marketing Middle East and Africa(PMMAF) has introduced its latest range of tank type vacuum cleaner MC-YL series, which is perfect for cleaning large spaces. The latest models MC-YL799 and MC-YL637, made in Japan and Malaysia respectively, feature a powerful motor, large capacity dust tank and come with Panasonic’s smart cord storage (cord reel function). The technology rewinds the cable with press of a button and makes storage easy and convenient. The uniquely designed 3 mm ditch in the MC-YL799 protects the body from dents, while the large 5 MM thick cylindrical tank can hold 21L dust. At only 7.8 kilos, the vacuum cleaner is lightweight and a 2-level adjustable nozzle attached to extendable metal wands ensure reach to every corner. It offers powerful suction with 2400 Watt motor, while the blower adapter can be attached to use the blower operation. Meanwhile, MC-YL 637 offers all these features in a more compact version that provides 2300 Watt motor and a 21L dust capacity. One of the key features of the MC-YL series, which includes YL799, YL699, YL637, YL635, YL633, YL631, YL690, YL620 is the high suction power ranging from 1500 Watt to 2400 Watt that ensures optimum performance on all floor types. Also, the anti-bacteria filter consisting of copper eliminates odour particles to improve air quality. The motor in the cleaners is coated with a rubber shield that keeps dirt out. Panasonic MC-YL Series vacuum cleaners are compact, efficient and incredibly powerful machines designed to deliver excellent cleaning results, the YL799 is available in beautiful gold colour. The MC-YL Series is available across GCC and Africa with the lowest price model MC-YL 620 priced at AED 349 and MC-YL 799 priced at AED 899.